What is Parity at the NYSE and Why Should You Care? The NYSE is the only exchange offering “parity allocation” of all trades. Roughly 600 million shares trade each day at the NYSE in the regular session; virtually all these trades happen at the NYSE matching engine via that parity allocation model that enables orders from multiple Floor brokers, DMMs and DOT orders at the top of the book to share executions at the same price point. 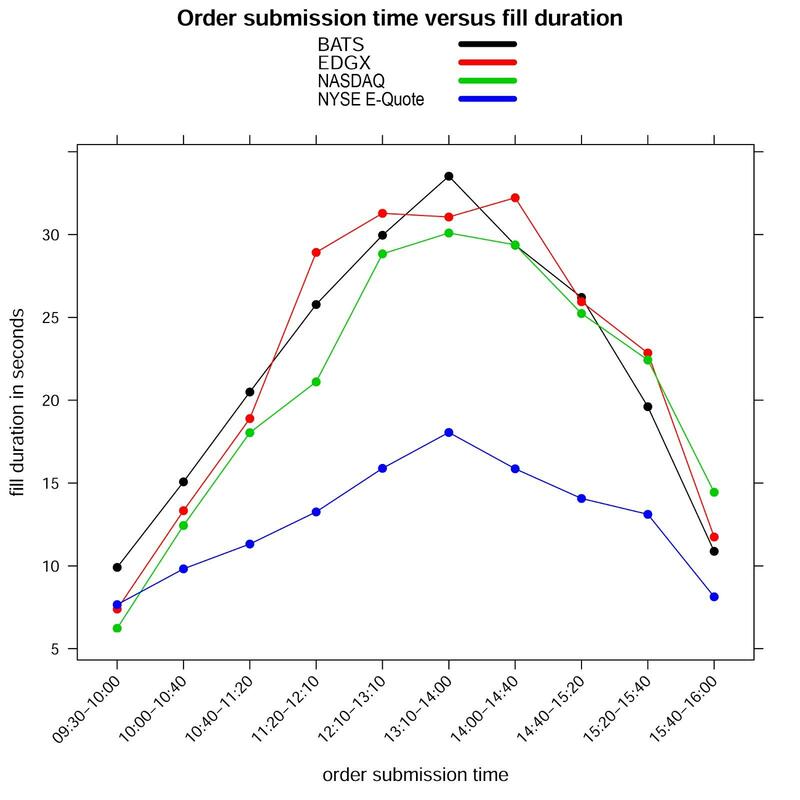 Floor broker orders, posted to the NYSE via what are called e-Quotes, can in particular yield higher fill rates and lower adverse selection owing to this parity model. Here, for example, is an analysis of production data from the period Nov 2014-Feb 2017, examining a total of roughly a 100 thousand randomly picked orders across the 4 examined destinations (details available on request). 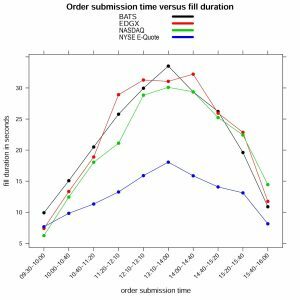 Compare e-Quotes’ fill times with that of orders placed at other marketplaces. Deep Value is now offering, via its Floor Access Strategies (FAST) Parity Service, the first Floor-wide access to parity for buy-side firms that wish to use custom algo strategies. Currently, custom strategies (as opposed to benchmark strategies) that receive parity allocations are used only by a limited base of trading customers who have contracted with NYSE-approved TPA providers. The Deep Value Floor FAST Parity Service aims to broaden that base, while conforming to the requirements on NYSE TPA providers. Deep Value is offering this in partnership with Floor brokers, and the service is available for customers of any Floor broker to use. It will allow trading firms that were previously deterred from bearing TPA costs — costs of the trading stacks that run their own custom trading logics, separate market data infrastructure and associated hosting and connectivity — to now access parity more easily, and from their pre-existing trading infrastructures. Thus Deep Value’s FAST Parity service allows Floor brokers to present their traditional e-Quote as a low-latency DMA endpoint that is simply accessed via FIX from customers’ existing servers. While the usual disclaimers apply, in our research we observe that the value of parity via the e-Quote is most pronounced when book depth across marketplaces is relatively high (at least several hundred shares shown), when spreads are not too wide, and as in Fig 1, away from the open and close.